ACT Test is the leading US college admissions test that measures what you learn in high school to determine your academic readiness for college. The ACT Test contains multiple-choice tests in four areas: English, mathematics, reading, and science. ACT's writing test is optional and will not affect your composite score. 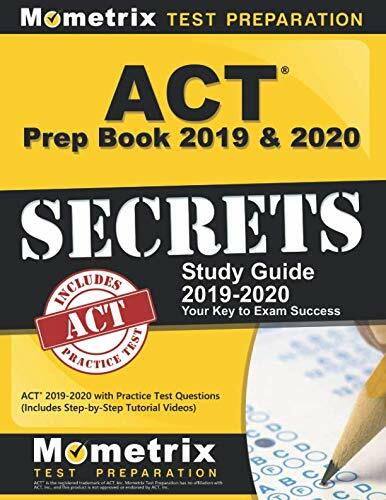 Here you will get some of the best ACT books 2019-20 which is very effective and useful. These will help you to overcome The ACT Test convincingly. This is a great package for successfully overcome ACT Test. It contains powerful tactics to avoid traps and beat the ACT. Also having useful tips and tricks and strategic ideas to help you work smarter. It covers all the areas of ACT Test and also 8 practice tests with detailed answer explanations. It also offers online support for the students featuring video tutorials, techniques, study plans, and numerous suggestions. How to crack the ACT English Test. How to crack the ACT Reading Test. How to crack the ACT Science Test. How to crack the ACT Writing Test. 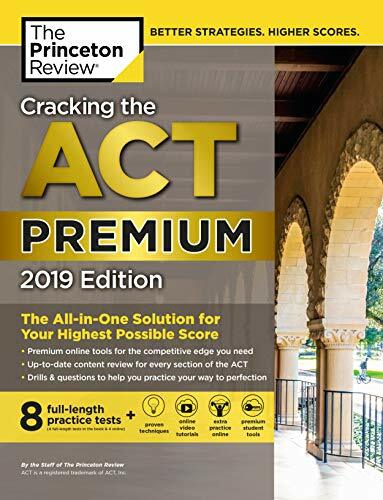 The Princeton Review ACT Practice Exams. This is an excellent way to study for an upcoming ACT exam. The questions are presented in the same manner as on the actual ACT which helps students to be more comfortable when taking their test. The practice tests help pinpoint areas where more study is needed. 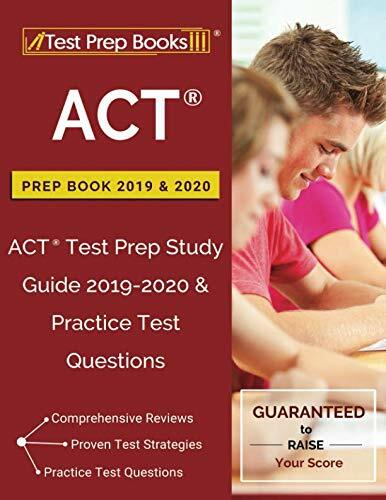 This book is a great option to help prepare your child to take the ACT Test very efficiently. ACT English Test: Strategies and Reviews. 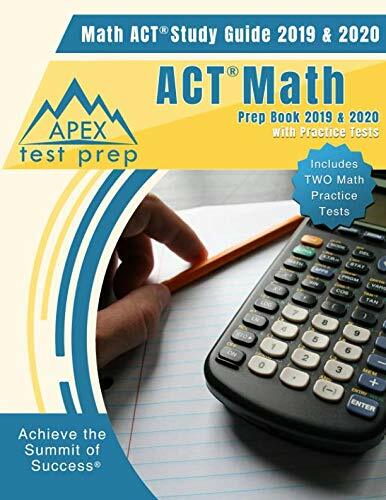 ACT Mathematics Test: Strategies and Reviews. 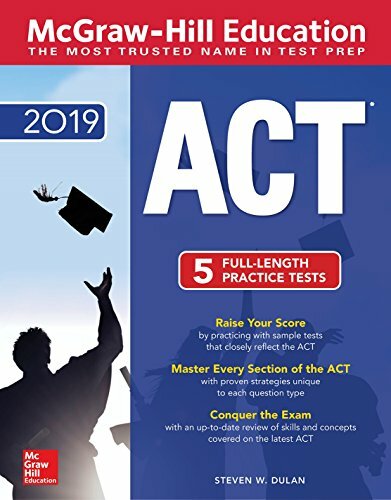 ACT Reading Test: Strategies and Reviews. ACT Science Test: Strategies and Reviews. ACT Writing Test: Strategies and Reviews. This book is very resourceful and educational on the ACT. It gives you step by step explanations on every part of the test. If you read this book thoroughly and apply these techniques you will make the score you want. This book is amazing, it's explosive, clear, easy to read & understand. 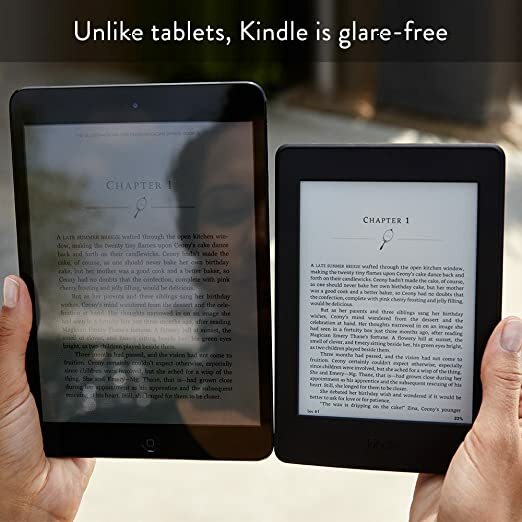 It allows you to relax as you study & enjoy studying instead of making it feel like a dreaded or awful chore. ACT English Test: Tips, Practice Questions and Answer Explanations. ACT Mathematics Test: Tips, Practice Questions and Answer Explanations. ACT Reading Test: Tips, Practice Questions and Answer Explanations. ACT Science Test: Tips, Practice Questions and Answer Explanations. ACT Writing Test: Tips, Practice Questions and Answer Explanations. 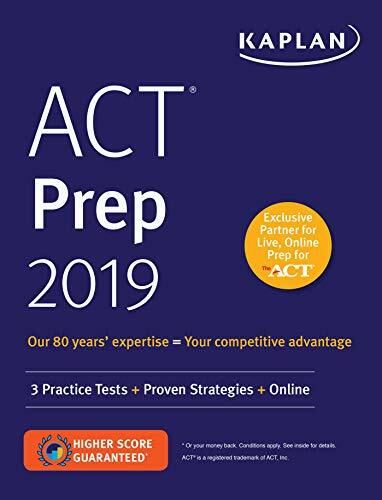 This book is a very comprehensive ACT preparation guide with the current curriculum to prepare students for latest ACT. It has a variety of questions and very good explanations. English Test: Patterns, Practice Questions, Answer Explanations. Mathematics Test: Patterns, Practice Questions, Answer Explanations. Reading Test: Patterns, Practice Questions, Answer Explanations. Science Test: Patterns, Practice Questions, Answer Explanations. Writing Test: Patterns, Practice Questions, Answer Explanations. 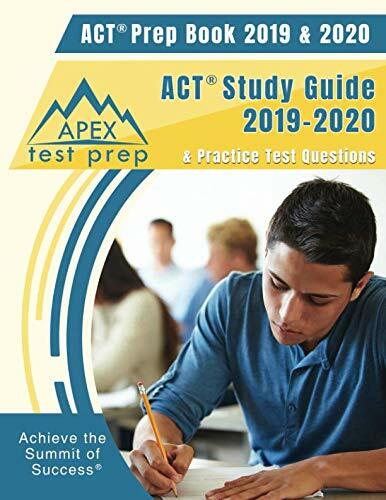 This product offers you exactly what you need and how to study for the ACT Test with helpful study tips and strategies. They also give you confidence-building advice on how positive thinking sets you up for success. It has videos to help you learn each subject you will be tested on and in the back of the book offers you practice tests to quiz your knowledge. Secret Key #1 - Plan Big, Study Small. Secret Key #2 - Make Your Studying Count. Secret Key #3 - Practice The Right Way. Secret Key #4 - Pace Yourself. Secret Key #5 - Have A Plan For Guessing. The English Test in detail. The Mathematics Test in detail. The Reading Test in detail. The Science Test in detail. The Writing Test in detail. How to Overcome Your Fear of Math. It's a very good study guide. It’s a preparation book with test area-specific skills taught, and practice problems to reinforce knowledge. The online study tools included, are very helpful. A lot of practice tests and tips for success. Production of Writing and Knowledge of Language. This is a very good ACT Math Study Guide. The way that it explains how to do the math problems is what makes this manual a plus for anyone to learn from. It gave step by step examples that made it easy to understand the maths. The content is concise, easy to understand and follow. Best QGIS Books for Analyzing and Editing Spatial Information with Composing and Exporting Graphical Maps.